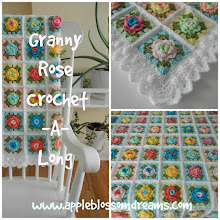 I believe in a world where bobbles, granny squares and roses can co-exist. All roses are white, then three "granny" rows of color were added ending with a row of white. 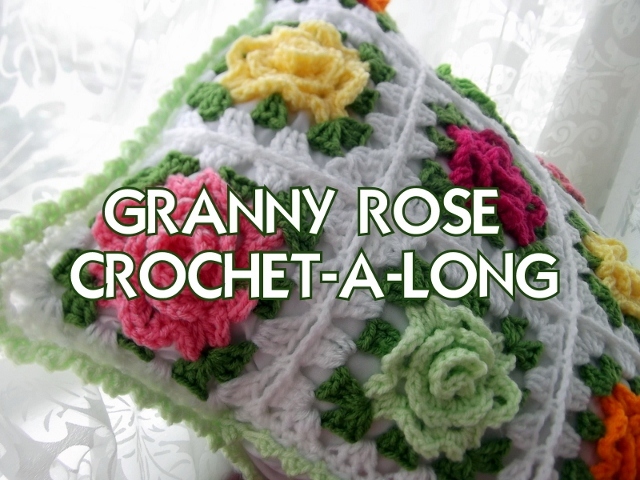 The "granny" rows were worked underneath on all petals, but I think I prefer the alternating petals under and above as in tomorrow's video for week 3 of the Granny Rose Crochet-A-Long. then bobble the other direction across two squares until all squares are connected. There are two sc between each bobble but it would have been better with three. 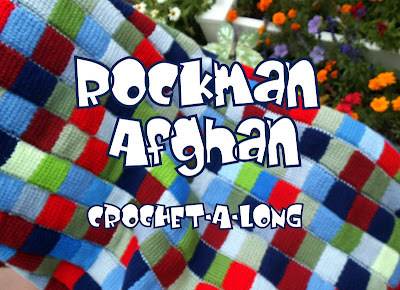 A bobble is 5 dc but leave a loop on the hook each time, then pull through all six loops. Sc bobbles squares together (they'll be connected at each corner). where heart buttons secure the opening. Such happy colours, and the white makes everything pop.